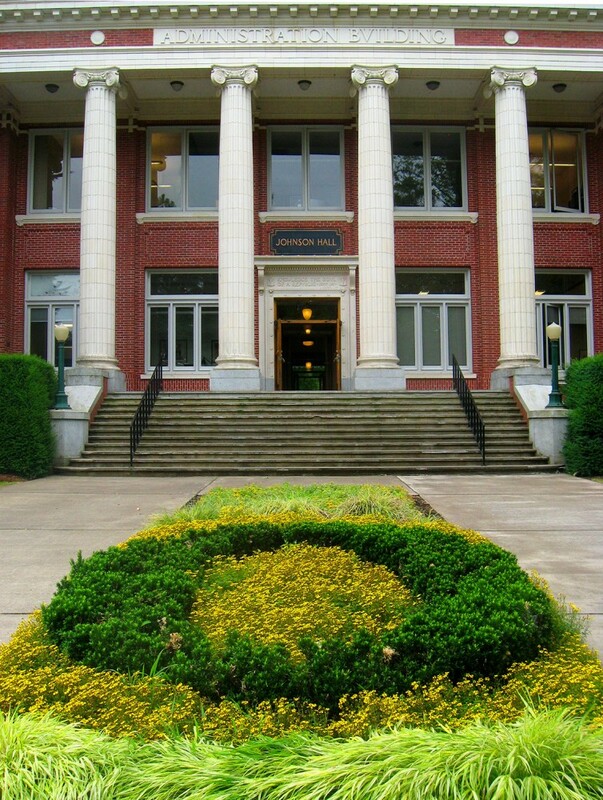 The University of Oregon launched the public phase of its $2 billion campaign in a big way in fiscal 2015, setting a new record for giving to academics and reaching a total of $214.2 million in gifts and pledges, the second highest annual total in its history and an 86 percent increase from fiscal 2014. Fundraising eclipsed the $200 million mark for the second time in the last three years, boosting the amount raised toward the most ambitious fundraising goal in the state’s history to $826.9 million. More than 76 percent of the year’s giving — $163.3 million — was designated for academics. Another increase was in the number of people who gave, with 44,859 donors contributing 55,038 gifts and pledges to support virtually every aspect of the university’s mission. This year’s gifts will allow the UO to significantly increase the number of scholarships offered to incoming Oregon high school graduates, with 37 percent of the total going to student support. Major gifts also leveraged legislative approval of $17 million in state bonds to build the new College and Careers Building, paved the way for a new women’s softball stadium and fully funded the UO’s research and teaching initiative focused on obesity prevention and health promotion. “This is a tremendous show of support by alumni and friends, students and parents, and faculty and staff,” said new UO President Michael Schill. “We must do everything we can to increase student access to this great university so that deserving young people, regardless of income, can benefit from attending the UO. We must also attract and retain world-class faculty to inspire our students and produce the knowledge that enhances our society and grows our economy." Starting with the gala public launch of the campaign on Oct. 17 at Hayward Field, UO leaders and volunteers hosted campaign receptions and events in 16 cities across the U.S. and Asia, energizing alumni and friends with the campaign priorities of access for students, excellence in teaching and research, and an enriched UO campus experience. This outreach, combined with the impact of the UO’s new branding initiative, helped inspire an 18.6 percent rise in first-time donors, with 10,102 individuals making first-ever gifts to the UO, according to Michael Andreasen, vice president for advancement. Of the total, $96 million is designated for the university’s endowment, which now totals more than $700 million. Andreasen said an overarching objective of the campaign is to build the endowment to levels that will allow the UO to soundly plan and implement its priorities over time. Schill, whose first day on the job was July 1, thanked former interim President Scott Coltrane for his leadership in the public launch of the campaign and looked ahead to meeting its next challenges. “This is a tremendous effort,” he said. “Together, we will do amazing things to create opportunities for access and excellence across the university.